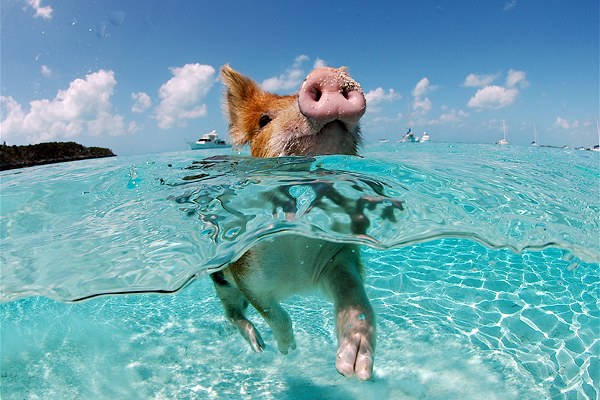 But... sight often in open water and in practice! Dave Oliver is a competitive swimmer and a former pro triathlete. 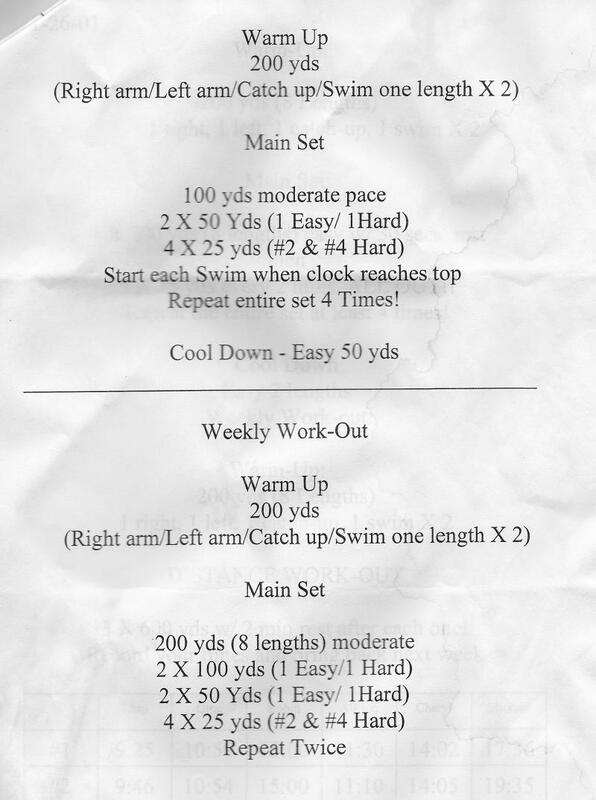 He teaches our local masters swim clinics and these are the workouts he gave us to work on and with. 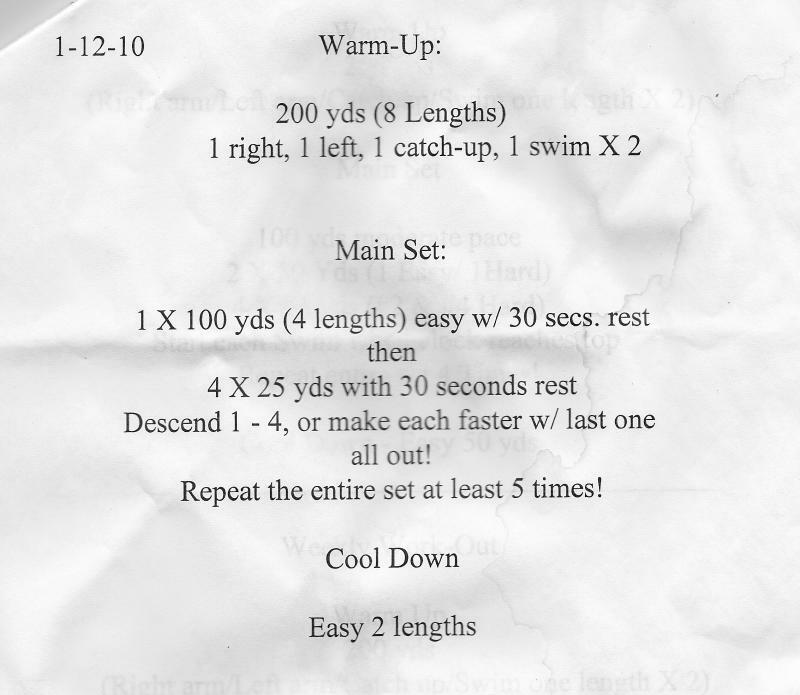 "When I ask a triathlete what their swim workout was that day it is almost always... 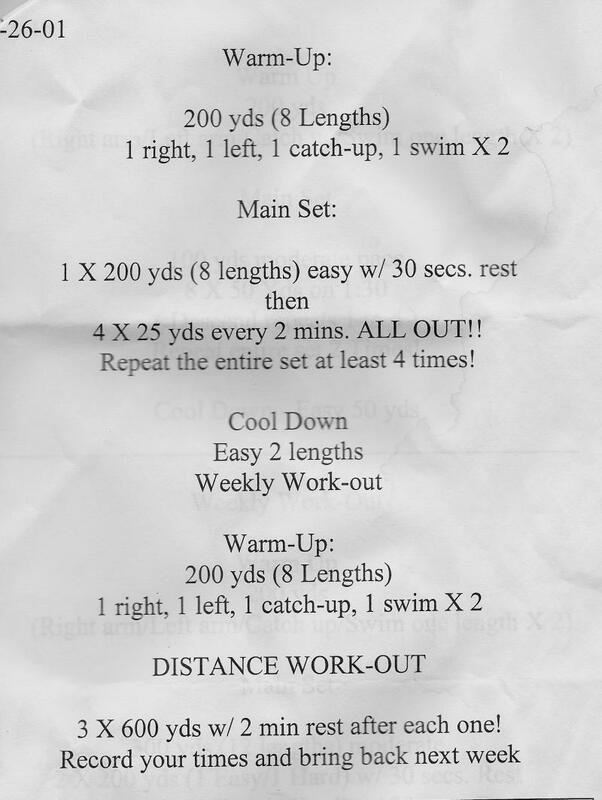 I swam 4000 yds (or whatever distance). 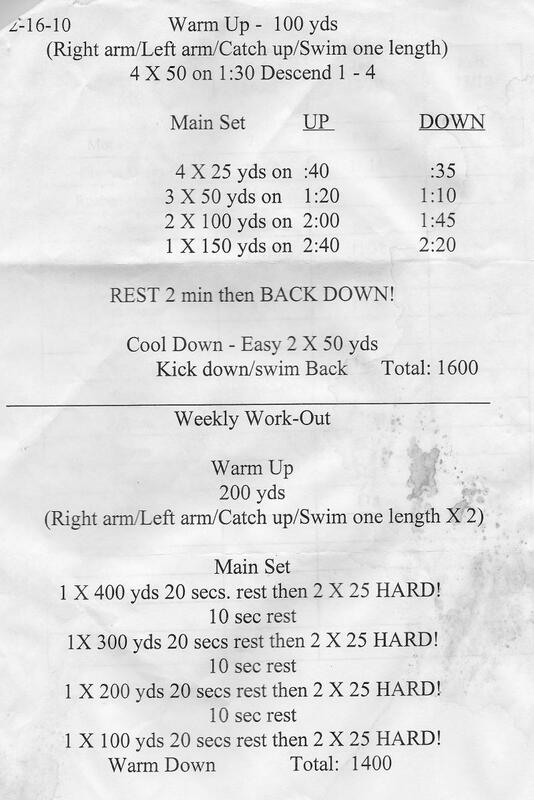 Just a straight swim! 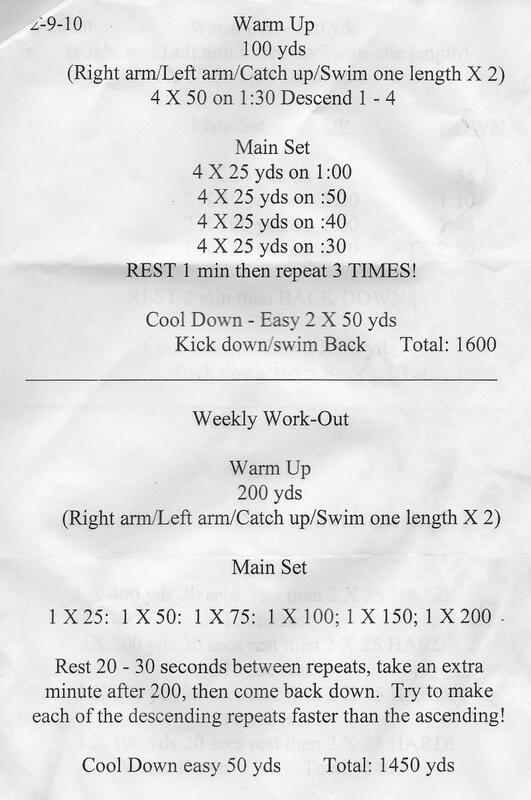 See his comments to me in the off season workout. IM guilty too. So use these proven workouts to help yourself get better at the 1st event on tri race day. Stop slogging through endless, boring yards in a pool! 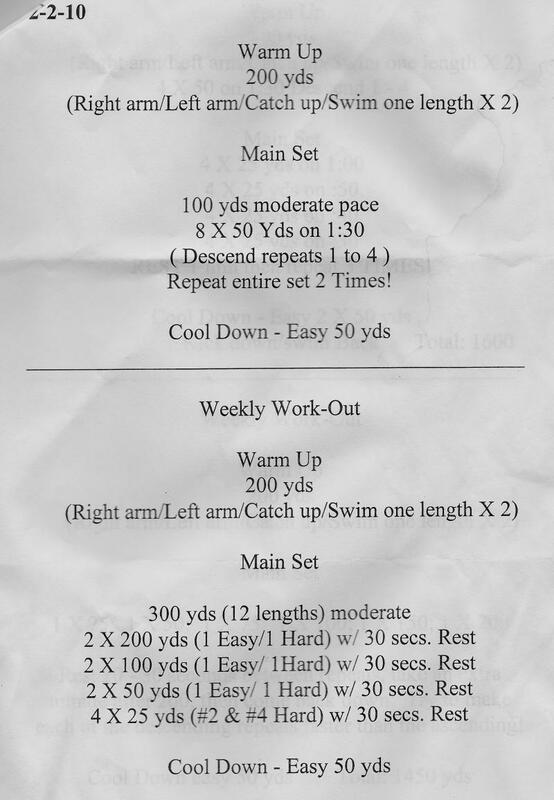 Oh... these workouts (practices) look like parchment cause I've carried them with me all over the place for quite awhile. Now I've scanned them and am sharing them with you.